While the media has been focused on the Oscars over the past weeks and while “The Academy” were deciding that Boyhood was too gimmicky for Best Picture our fine city has been host to a far more modest but highly eclectic celebration of film. The Glasgow Film Festival, which started in 2005, screened over 150 films this year from cult classics to brand new international indie films to locally produced documentaries; the choice on offer was truly diverse. In the end my choice of film to see was a bit of a cop out, I felt. During a festival with such a range on offer I should have branched out and tried a coming of age film set in tribal New Zealand (The Dead Lands) or a French documentary about the evolution of electronic music in the 90s (Eden) or a dialogue free Brazilian cartoon (The Boy and the World) but in the end chose “Eliza Graves” largely because I had heard of everyone in the cast. I had never been to a film at a festival before and the sense of intrigue around seeing a film not on general release yet was quite appealing, as was not having to sit through half an hour of adverts. The Glasgow Film Theatre itself has a nice atmosphere as it generally feels far less corporate, it is located just off Sauchiehall Street for anyone that wants a change from watching Fast and Furious 9 at Cineworld. The film was introduced by a representative from the festival as the start of “Glasgow FrightFest” as it was technically classified as a horror. He explained that the film had changed its name just after the festival programmes had gone to print and was now called “Stonehearst Asylum”. The name change makes sense as naming the film after the female lead instead of the primary location was really giving her too much credit. The film is set at the turn of the 20th century at the titular asylum as Dr. Newgate (Jim Sturgess) looks to complete his clinical training. He is taken under the wing of the experimental superintendent (Ben Kingsley) who has created an apparently utopian arrangement that allows the mentally ill to flourish rather than looking to cure them. Of course nothing is as it seems and it’s not clear who can be trusted as Newgate makes a series of “shocking” discoveries. The definition of mentally ill is reflective of the time as a seemingly harmless “incurable homosexual” transvestite is treated comparably to a man who thinks he is a horse and a hysterical woman who cut out her husband’s eye. The programme described it as a “glossy, starry, sumptuous horror” and while it may have been quite glossy and a bit starry it was far from horrific. It is based on a story by Edgar Allan Poe and I suspect that the film does not do it justice, although I cannot claim to have read the original story, as the premise, which is a major plot point I do not wish to spoil, could have led to a darkly funny or truly scary film of which this is not really either. It does have some funny dialogue, with Ben Kinsley getting most of the good lines, and has a couple of uncomfortable moments but no real scares. However they did manage to fit in some truly cheesy romantic moments that earned audible groans from some members of the audience. Regardless of the tone there is some classic horror iconography and several plot twists that keep things interesting as well as an excellent supporting cast including Michael Caine, who does a pretty good Michael Caine impression, Brendan Gleeson and Kate Beckinsale. 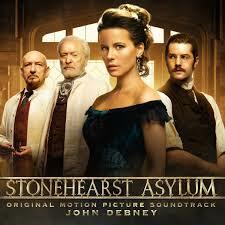 Posted in Arts and tagged glasgow film festical, stonehearst asylum. Bookmark the permalink.